 The Energy Cooperative has contracted with Middleton Mechanical to conduct service line replacements for our members in the West Main Street and surrounding area of Newark beginning this week. Members will be contacted prior to any service line replacement work on the premises. Upon completion of the service line replacement, a representative from Middleton Mechanical will need access to any appliances that need relighting. Middleton Mechanical will have identifiable clothing and photo identification. Thank you for your cooperation. If you have any questions, please call our Member Service department at 1-800-255-6815. If you smell gas or have a gas emergency call 911 and then call The Energy Cooperative at 1-800-255-6815.